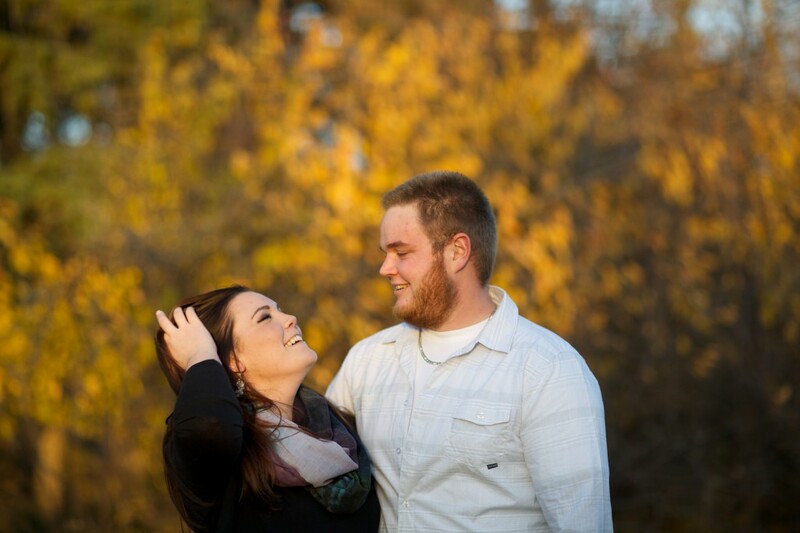 Emilee and Josh’s knew they wanted an autumn country engagement session. The location they ended up choosing was not only beautiful but held a lot of significance to both of them. 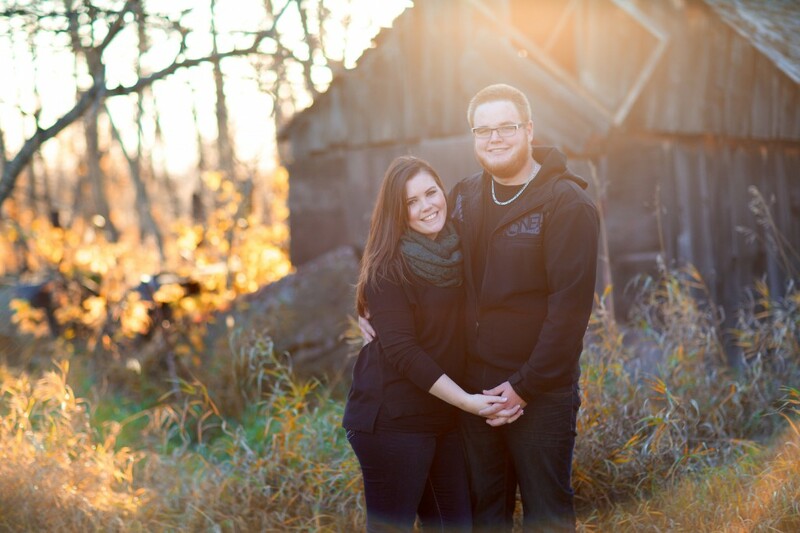 We met Emilee and Josh on a sunny afternoon at the original homestead of Josh’s family. This gorgeous acreage was full of old wooden buildings, tall trees and a lot of memories. We love it when couples select locations which have meaning to them. This particular location has been home (literally) to many years of wonderful memories for both Josh and Emilee. With all of the family memories held in the old homestead, it was the perfect location to have their engagement photos taken. 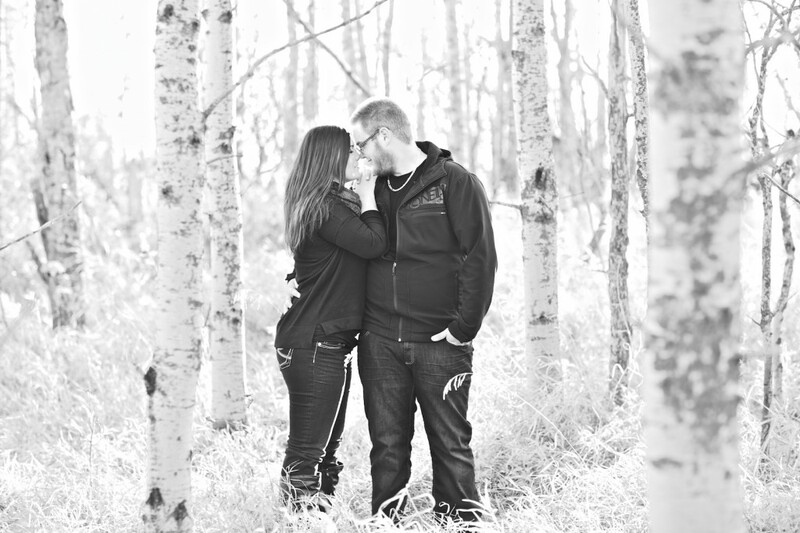 Some people ask why we do engagement sessions with our couples prior to the wedding. One of the answers we give is simple: this is a chance to document the first step in your new lives together. For people who value capturing family memories and the history of family, engagement sessions are a great starting point. The afternoon was spent exploring the old farmland and walking through fields of tall grasses. As with any good farmstead, abandoned farm machinery and family cars were littered in the back woods. As the sun began to set we watched the skies turn vibrant pink and purples – a breathtaking prairie sunset. 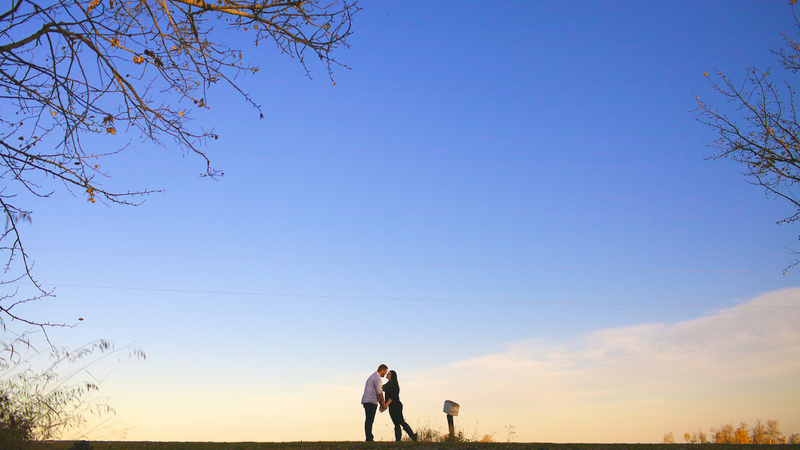 This was the perfect way to finish off Emilee and Josh’s country engagement session. It is our job as your photographers to make you feel comfortable in front of the camera. We do this by working with you to direct you into poses that are comfortable and flattering. The connection between the two of you is an important part of making your engagement photos come alive. 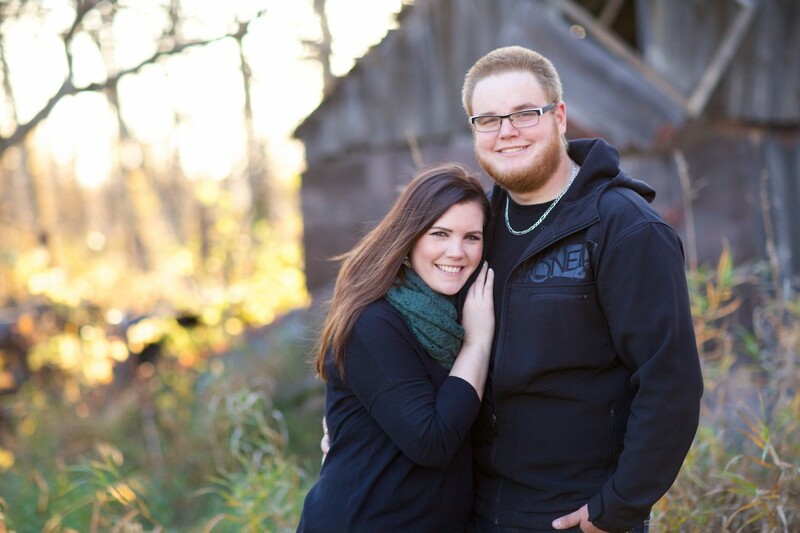 So relax, have fun and enjoy your engagement session. Leave the picture taking to us!